Utah is one of the most visually and physically interesting places to take a road trip. There is so much here to be explored! The best part is that you will never see the same type of landscaping twice. With the Northern parts of utah sticking to the greenery, and the ever-changing Southern Utah desert, it’s no wonder Utah is one of the most desired places to visit for those who love nature and scenic roads to travel. There is beauty and adventure around every turn of the highway. We are not surprised by how many road trippers we accumulate through Escalante. What started out as a cattle blazing trail is now one of the most picturesque drives in Utah. Pass through some of Utah’s most stunning landscapes and National Park/Monuments like Capital Reef, Grand Staircase and Glen Canyon National Recreational Center. This is a long and classic all American drive that families will love. There are many places to stop and explore with absolutely stunning views. Something that road trippers dream of! One of the most picturesque and fun unpaved backways. This 47-mile dirt road will take you on an adventure of a lifetime. The conditions of the road are good, although you’ll still want to take a decent SUV or 4×4 just to be safe. In spring the roads can become very muddy making it near impossible to drive for any SUV. The begging of this drive will seem stark and desolate, until you roll down into the Paria River Valley, where the landscape drastically changes from desolate desert to beautiful oasis. Be sure to check out the few trails along the way like The Cottonwood Narrows Trail and more. 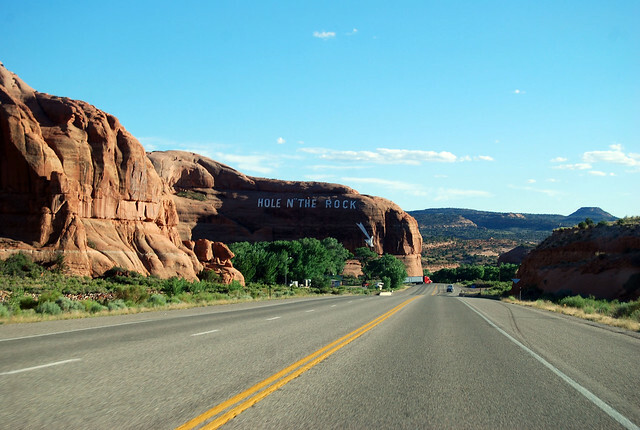 If you have not heard of Hole-in-the-Rock road, then you are not road tripping right! This is one of the more famous backways. Most of it is located in Grand Staircase Escalante National Monument, but the last bit takes you through part of Glenn Canyon NRA. This is the original general route that the Pioneers took to find a way across the river, which is now Lake Powell. Should you decide to head further, the road becomes a little more rugged and is best traveled by foot or mountain bike. These and many more backways here in Utah are what keep our adventurous road trippers coming. The scenery in Utah is next to none, and unbeatable.